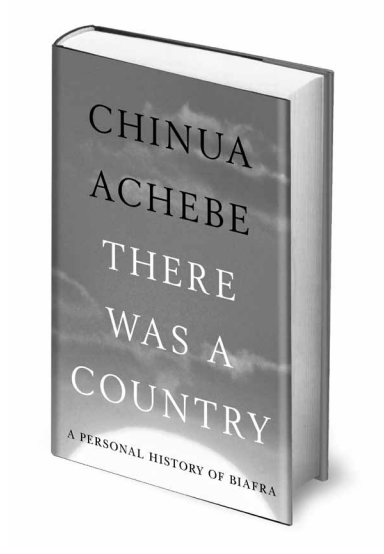 Fusing history, memoirs, poetry and prose, Professor Chinua Achebe’s soon to be released book, ‘There Was a Country’ is the book the literary world can’t stop talking about. The book which is a semi-autobiographical recollection of the Biafran War in Nigeria finally relieves Achebe of the burden that came with carrying for decades such traumatic details of a very disturbing war. 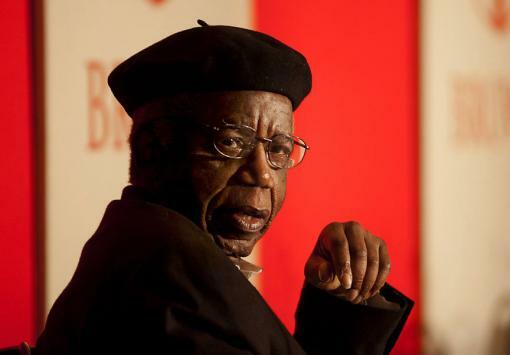 Achebe–who had previously restricted his war recollections to a few poems–narrates his experience, as he lived it and how he has come to understand it. When the war began, Achebe was already a known writer but he played his part in the conflict by protecting his family and his people serving the Biafran government as cultural ambassador. It was there he witnessed the killings first hand and watched the war’s full horror. ‘There Was a Country’ will provide new insights into the controversial claims and counter-claims that have been spoken or documented of the Nigerian civil war, which was fought between 1967 and 1970. In 256 pages, Achebe has managed to compress 40 years of research and personal experience. No wonder despite rejecting the title, is still referred to as ‘The father of African literature’ at 82 years old. The book will be released on 6 September, 2012 and is published by Allen Lane. This is the time God has chosen to expose the the evil generation called Nigeria .the blood of innocent biafran citizens are still crying for vengeance. Before Christ comes, can this country that was, come to be? The existence of Biafra is the best way all those children that died out of starvation, Biafran soldiers that died during the war (Pogrom), Chinua Achebe and Chukwuemeka Odimegwu Ojukwu can be remembered for ever. May God make it to happen. So many men that fought biafran war were no longer alive today. And here lives a living hero; Chinua Achebe, who is to hand us unalloyed information on that ugly event called BIAFRAN WAR. God has chosen you to present this, as we mourn our hero; DIM CHUKWUEMEKA ODIMEGWU OJUKWU. May your soul rest in peace. So many men that fought biafran war were no longer alive today. And here lives a living hero; Chinu Achebe, who is to hand us unalloyed information on that ugly event called BIAFRAN WAR. God has chosen you to present this, as we morn our hero; DIM CHUKWUEMEKA OJUKWU. May you soul rest in peace. Am eagerly ready to feed my brain with the Biafran history and the literary words from this great Scholar of times. I trust this will be a beautiful summary of the famous Biafran war I never experienced. I'll like to own a copy as soon as it is released. I most definitely would love to own a copy. I'm so intrigued by the 'biafran war' (as I like to call it). My parents were but kids when it happened, so their stories are as you would imagine from a kids perspective. …looking forward to flipping through and devouring ..